1, ɸ50mm LED Ball, opaque Milky/Clear/Icy/Silver/Gold giving 360° viewing. 2, 3D video display, high manifestation and visual impact. 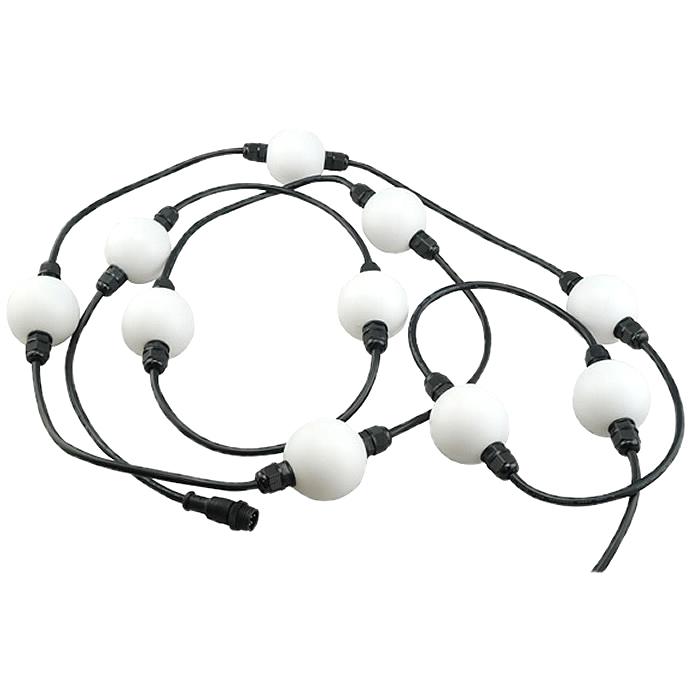 3, High Brightness and long service life LED, 4 leds in one LED ball. 4, DC 15V input, 1W power consumption. 5, Easy to install, connect by 3D specialized line. 6, Max Length 5M/ string. 7, Customized pitch with customized ball QTY/String. 9, Full speed video and graphics. 10, Easy control by DMX SD card control, Online Venus 8/16, DVI control.